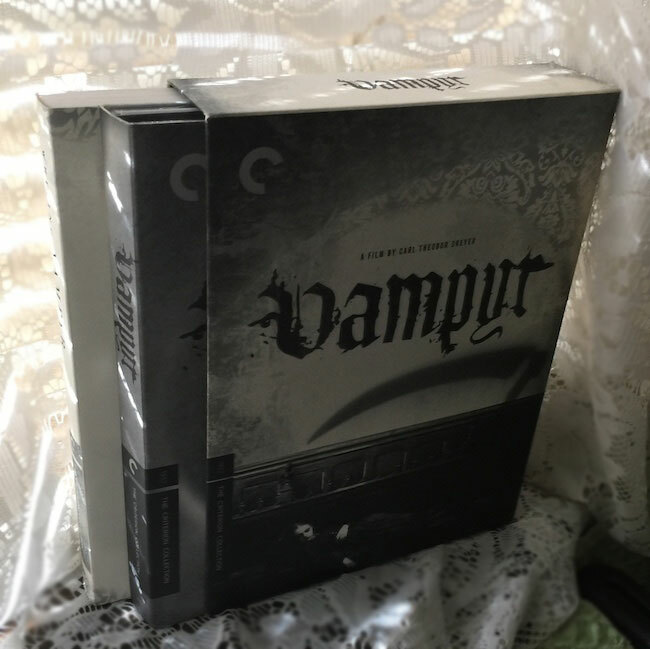 The 2008 “Vampyr” Criterion Box Set. Loaded with historical goodies. Though I normally end a post with the “SkeletonPete Says” section I think it appropriate to preface this particular blog entry with some introduction to its genesis. This piece is only one small part of the Criterion Blog-A-Thon that officially began yesterday. The Criterion Collection is noted for its restoration of aging film elements, and attention to detail in its bonus features, often producing what most consider definitive DVD and BluRay releases. Thanks and kudos to Aaron (Criterion Blues) Ruth (Silver Screenings) and Kristina (Speakeasy) who created and are administering this massive, 200 plus post, Blog-a-geddon. It is unlikely I would have endeavored to revisit Vampyr or Carl Theodor Dreyer’s ethos had it not been for the impetus of this online event. 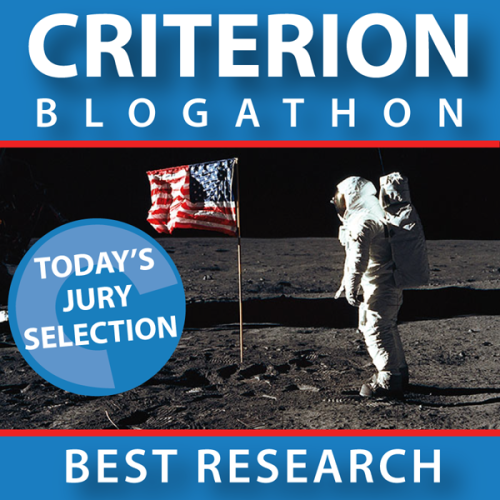 Film buffs who trawl the Criterion Blog-A-Thon should have enough to read until December 2020. Please send the blog posts you like some social media (#CriterionBlogathon) and comment love, and follow the ones that you think will float your boat in the long run. Absolutely over the moon to be awarded this recognition from the folks at the Criterion Blogathon. I will be handling this subject on two levels and in two installments. This first rumination on the film and overview of the Criterion DVD package will be followed later in the month by an artistic response to Vampyr, an outgrowth of this writing project that I did not expect to arise but would like to share. On a personal level, Vampyr has been a long term tantalizing mystery that was only solved satisfactorily with the release of Criterion’s DVD package in 2013. I was first exposed to the film as a set of still images found in the pages of Carlos Clarens’ book The Illustrated History of the Horror Film. I purchased that book in 1967 upon its release in paperback form. It was heady stuff. Though I had been a “monster book” fan for some time by then – diligently collecting copies of Famous Monsters of Filmland, Castle of Frankenstein and others off the newsstand – this was something different. I’m not sure I can claim to have fully understood the scholarly nature of Clarens’ work at the time, but it certainly was different from the “Horrorwood, Karloffornia” style puns of FMoF mag, and it set me on a path to ferret out (and obsess over) more arcane information about my favorite genre. Around the same time, penny saving yielded me the wherewithal to purchase 8mm copies of F. W. Murnau’s Nosferatu (1922,) The Lost World, and Lon Chaney Sr.’s Phantom of the Opera (both 1925,) which I ran endlessly through my family’s home movie projector, but Vampyr was elusive. When I finally got to view it for the first time it was on a pre-cable TV UHF broadcast. UHF was that other – enigmatic – bandwidth that came in via the circular antenna supplied with your TV. At best I could pull in a dodgy, shaky and snowy image, but this was the frequency where John Zacherle’s Disco-O-Teen Party lived so I’d put up with anything. I watched intently through the static but unfortunately that first encounter was unfulfilling for a teenage “monster kid” living on a diet of Chiller Theater screenings. Where were the monsters? I was perplexed and archived it away in the brain cells, nearly forgotten until I was reintroduced to Dreyer in a college film 101 course via The Passion of Joan of Arc (1928). 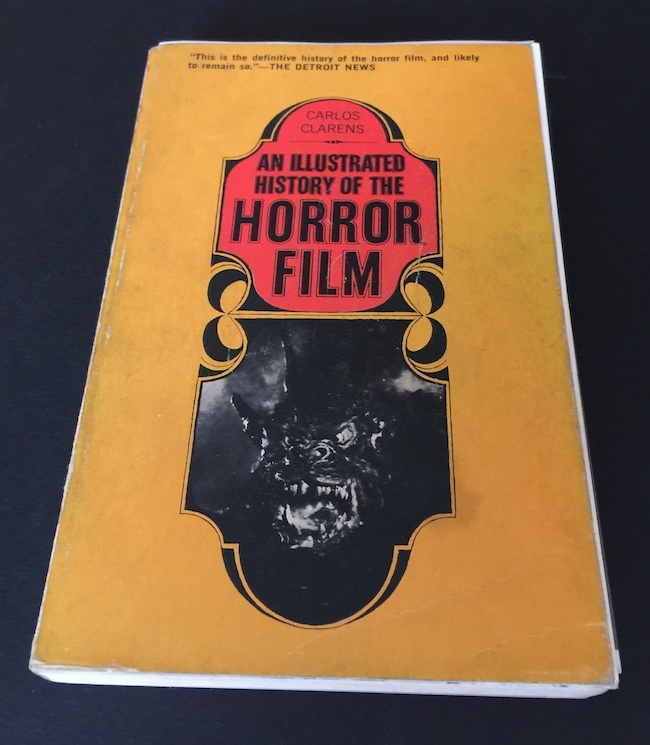 My original copy of Clarens’ “Illustrated History of the Horror Film” holds a place of honor in my book collection. The Passion of Joan of Arc is renown for its reflection of the human psyche through the director’s use of intense close-ups. The inner mind of the characters is reflected through their facial gestures filling the screen to the displacement of all else. Vampyr on the other hand appears to bring us directly to the source, inside the id of our protagonist, to experience dreamlike, sometimes multiple, views of reality. The film plays less as a narrative than as a series of separate images. Though a sound film, it plays like a silent. Working almost exclusively with non professionals, Dreyer reduces the acting requirements to a limited palette of movement that distills the viewing experience to what seems a series of still moments. Vampyr does not progress so much as it… drifts. It follows its own tidal flow. In fact the meager bits of actual exposition afforded the audience become obtrusive amidst the surreal core of the film. DVD Commentator Tony Rayns makes a point of noting that Vampyr has more in common with Jean Cocteau’s Blood of a Poet and Luis Buñuel and Salvador Dalí’s Un Chien Andalou than it does with Universal’s Dracula. I’d call Vampyr a visual tone poem. Vampire crone from Grey’s coffin bound view. One of “Vampry’s” classic still moments. Lead character David/Allen Grey (Baron Nicolas de Gunzburg) is presented as a cipher of the supernatural. His experiences are often viewed through windows or doorways suggesting that he is seeing events taking place on another plane. This reaches its zenith as Grey witnesses his own interment and trip to the cemetery through the coffin transom. 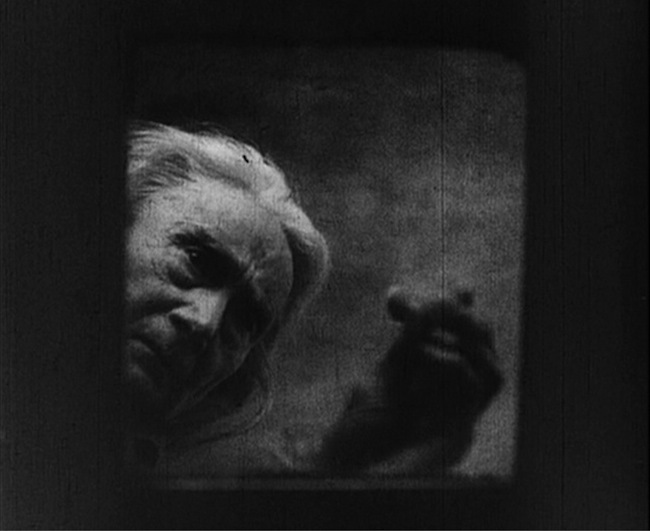 The vampire peering into the coffin from Grey’s point of view has become one of the film’s most memorable and printed images. Although director Dreyer set out to create a financially successful film utilizing popular gothic tropes, art ultimately trumped box office. The film rebukes the “heavy” old dark house chiaroscuro of its genre mates for a stylized look that Dreyer described as a “muddle of grey and white.” That look has become Vampyr‘s historical hallmark but the groundbreaking style clearly bewildered its target audiences. The tempo of Vampyr makes Tod Browning’s Dracula seem like part of the Fast and Furious franchise. At least one group of early viewers nearly rioted, demanding their money back. The film was ultimately a commercial failure and likely contributed to Dreyer’s following nervous breakdown. This is not surprising based on the director’s model of filmmaking. It’s what André Bazin and Francois Truffaut later coined as autuer theory in the French film magazine Cahiers Du Cinéma. While recognizing collaboration as a necessity of filmmaking, Dreyer saw the director’s vision as the prime goal of the production team, which had to be fully understood before individual efforts could begin. A failure leaves no one else to blame. He didn’t make another film until 1943. 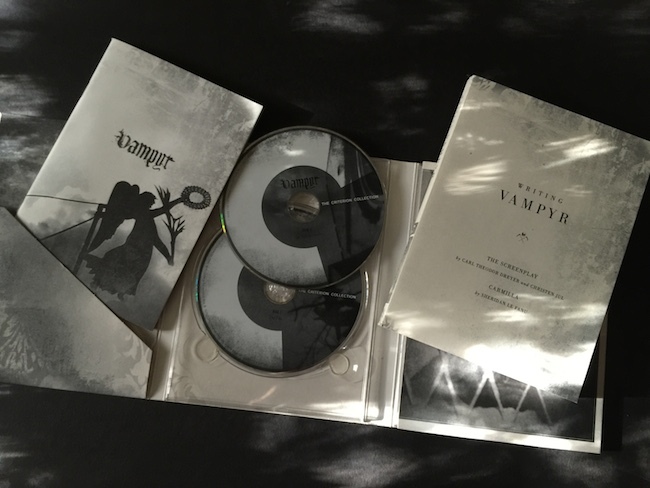 2008 Criterion Collection “Vampyr” First Edition Box Set with Essay Booklet and Script. Now to the actual artifact that drives this Blog-A-Thon. For clarification I’m writing specifically about The Criterion Collection’s Vampyr box set. That is the first edition released in 2008, which is out of print and has been superseded by the March 2015 release. My understanding is that the 2015 package DOES NOT include the printed materials I mention here, though all DVD supplements appear to be the same. Disc One presents the film in two renditions sourced from a high definition digital transfer of Martin Koerber and Cineteca di Bologna’s 1998 restoration of the original German version. Koerber’s printed essay relates some of the tribulations of the process. He points out that Vampyr was filmed silently, with separate takes of the actors mouthing their lines in German, French and English. Audio was added later at UFA Studios in Germany. Many extant copies of the film are cobbled together from different language takes. A second version with English text and “new and improved” subtitle translation is also included. Tony Rayns, who you will usually find giving context to asian cinema discs, handles the audio commentary with solid insights on both the film and the director. Disc Two gives us three valuable extras. To me, it’s where this package truly shines, and it is worth noting that there is very little overlap of materials across all of these supplements. Joreen Roos‘s 1966 documentary Carl Th. Dreyer features a lengthy, career spanning, interview with the director and includes snippets of praise from Truffaut, historian Henri Langlois, and Henri-Georges Clouzot (Les Diaboliques) filmed at the premiere of Gertrude in 1964. Dreyer discusses how his use of mise en scene forms a statement about the personalities of the people who inhabit those spaces. In Vampyr the cluttered interiors of the family mansion can be seen to represent the earthly attachments of the living, while the white washed walls of the vampire’s lair are a blank slate to reveal the projections of cavorting phantoms. 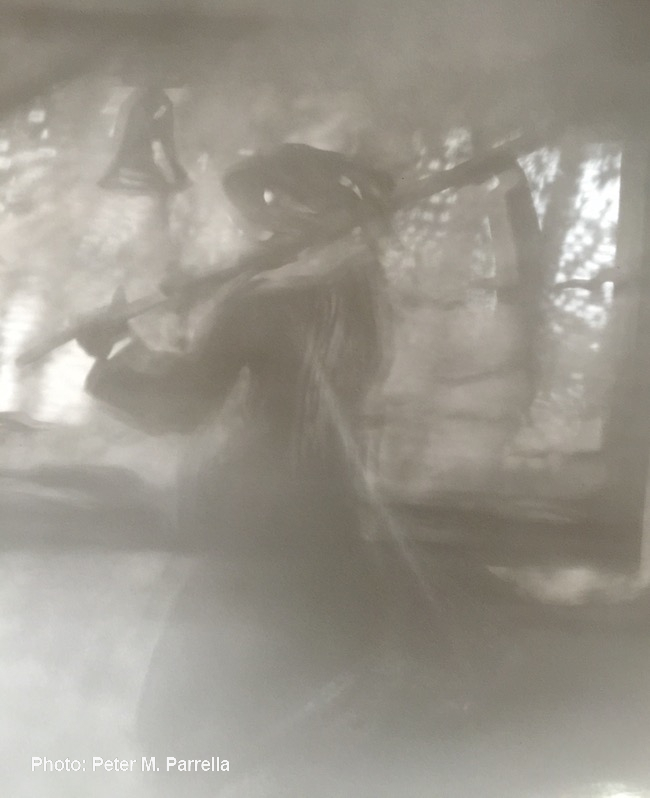 These shadows often have a life of their own, disconnected from their corporeal hosts, a still startling effect Francis Coppola repeated in his Bram Stoker’s Dracula (1992). 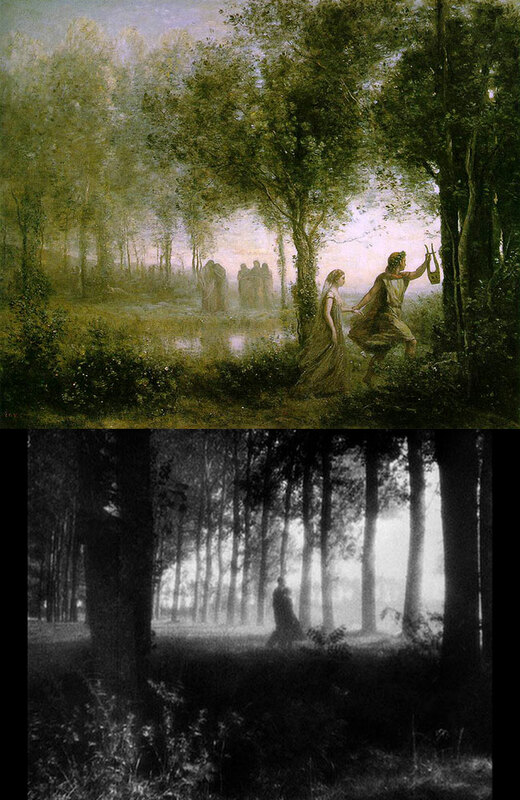 Corot’s Orpheus and Eurydice was just one visual influence on Dreyer’s “Vampyr” mise en scene. The German censors’ deleted scenes become part of Caspar Tybjerg‘s Visual Essay also on Disc Two. Those scenes could not be reintegrated into the film because of Dreyer’s subsequent edits. The overview also points out the artistic influences on Vampyr and Dreyer’s other films. Henry Fuselli’s Nightmare, Corot’s Orpheus Leading Eurydice from the Underworld, Jean de La Fontaine’s Death and the Woodcutter are all compared to their cinematic heir. For pure doctrine, the 1958 WBAI radio broadcast of Gideon Bachmann‘s The Film Art series cannot be bested. There is no outsider interpretation. It is solely the director explaining his prescribed methodology for expanding cinema beyond its technical adherence to nature. Hearing these theories of art and style directly from the man – what they are and what they are not – and on how filmmaking should evolve is priceless. Think of it as a TEDtalk from the beyond. Dreyer’s main goal was always simplification, breaking a scene, a set, or a performance down to its essence. In his own words he strove for a “cleansing of the motif of all the elements that do not support the idea.” It is not so much minimalism as it is aiming towards an abstraction that ultimately leads to symbolism. He professes that a filmmaker’s goal must be “master” to the inherent realism of the photographic medium to create a poetic and stylized (not mannered) “psychological reality.” An artistic transformation based on the disregard for physical reality. Preparing this blog has been an enjoyable exercise in the style of research and critique that made me want to write in the first place. The aforementioned Illustrated History of the Horror Film did not just fuel my desire to view the films assayed, (many of which, by the way, have been released by Criterion) but also to journalize the experience. By the early 1970’s I was producing a stapled together mimeo fanzine (the blog of its time) called Tempest, and doing my best to report and expand on my favorite genre films. It was a great learning experience. I hope I’ve made you curious enough to screen Vampyr for yourselves and formulate your own opinions. Comments are welcome. Below is a sneak peek at the Dreyer inspired art I’m currently working on. Going for the gauzy in a series of paper cut projections I’ll be posting more of. Wow! This is an incredible post. I am so glad you chose this film because you’ve covered so many aspects: the box set, the film, background info, etc. Truly wonderful essay. I gasped when I saw the piece you’re working on. stunning! Thank you so much for joining the blogathon (“blog-a-geddon” – ha ha! I nearly spewed my tea) and for bringing us this fabulous review of Vampyr. Thank goodness for deadlines. It just kept unfolding as I worked my way through the supplemental materials and began to glean more about Dreyer’s methods. Flashbacks to those “writing about film” courses back in the 1970’s. Thanks for all the work you folks put into this event. I’ve already enjoyed reading several posts, and I’m looking forward to diving into many more. Great Post! Though I read it trying to remain spoiler free. I have yet to see the film as waiting for a Bluray but you may have convinced me to seek out the original Criterion edition. I hear the Masters of Cinema DVD has a brilliant Guillermo del Toro commentary track! Thanks for your kind words. I’d say borrow a copy from your local library while you wait for Bluray edition. Vampyr is such an anti-narrative it didn’t cross my mind to warn of spoilers. Apologies. I’d love to hear Del Toro’s thoughts on this film and on Dreyer as director. Thanks for the heads-up. Very cool piece. I believe I saw this, but it was so long ago that I can’t quite remember. That doesn’t speak to the quality of Vampyr, but more to my horrible memory. I’ll definitely need to check this out soon. Thanks for commenting. Feedback is much appreciated. Having just spent so much time with the film, I don’t think it would be unfair to say it’s nearly impossible to grasp on the first viewing. The experience is almost all subtext and reveals itself in layers. No doubt this is the reason it was generally rejected by audiences of its time, but has built a steady appreciation via 1960’s-70’s art house and museum screenings through Criterion’s release. Even 83 years later “Vampyr” plays as way left of center, a compliment to Dreyer who strove to break the bounds of photography’s perfect rendering of it’s subject. He believed perfection equaled the death of art, and imperfection could open a thousand possibilities toward poetic stylization by the auteur. Loved reading this really well done and enjoyable piece, love the inclusion of your book and inspirations for writing along with all the other valuable info on the film. Thanks so much for joining this event! Absolutely amazing review! This looks like a great piece of art, and I am definitely adding it to my Criterion list. I found the Criterion extras made viewing “Vampyr” a very complete experience and afforded insight that warranted multiple screenings. Love everything about this film, and it was in my notes to mention it in my blogathon notes as a possible Eraserhead influence—not just the imagery, but the voyeuristic themes. Great article! Thanks. I read your Eraserhead piece this afternoon and attempted to comment (twice) but don’t seem to have made it through. So let me say here how much I appreciated your connecting the dots between Lynch’s work and the silent era. Great work and excellent observations. Thanks for such a terrific post, with all the fascinating info on the Criterion extras, including the changes between the 2008 and 2015 editions. Criterion always gives much interesting background and analysis to help appreciate its selected films, which is helpful for one as individual and uncanny as Vampyr. As you note, the film is puzzling if you’re expecting conventional horror; it’s effect is more akin to the reading of Poe’s poetry than to consuming such straightforward horror as Stephen King’s. I’ve also read Clarens’s book, which is an invaluable and insightful introduction to the film horror genre. I’m very happy to have discovered your site via the Criterion Blogathon. You picked another one of my favorites, “Island of Lost Souls,” to focus on and your work is much appreciated. Clarens’ book was completely unique in its time, but even after the deluge of tomes focusing on film in the ensuing decades, I think it stills stands as a masterful primer of the horror genre. Wow that was one hell of a read and I must admit that this particular release eluded me but I have always been one of the more casual fans of the Horror medium. That said you are sending me to the Interwebs in search of a means to enjoy it because without the once ample video stores to rent from the options are limited. Well done sir, a fine piece of history here. Thanks for reading and commenting. If you are a HULU member there is a wealth of Criterion Collection films there, in their very own section. As the Criterion bloggers like to point out these releases are like “film school in a box.” I suggest you take a look at the Criterion Blogathon pages for many, many, many other reviews and ruminations.